There have been lots of mass shootings and senseless violence. The nuts and criminals already have their guns. Gun control is just another feel good fallacy and won't work. The only real protection one can have is to arm yourselves. You don't need a 9mm Glock. A simple .38 revolver will provide adequate defense. Take the basic firearm class and start packing. The one thing a bad guy is wary of is the possibility of an armed citizen. No, you DO NEED a 9mm Glock or any other good service pistol that holds a lot of ammo. 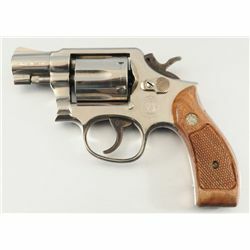 While a good revolver may be fine for home defense for 1-2 intruders, we are no longer operating in that type of environment, this is more like Military style combat. ANTIFA operates in large mobs, so does BLM. get a lot of magazines and as much ammo as you can afford. Service type ball ammo works for our troops. I'm trying to advise the average citizen who is not that familiar with guns. A snuby is good enough for them. Murph, I understand what you are saying. The dynamic has changed. The J frame S&W is better than nothing, I get it. The small snubbies are difficult to shoot well if you do not train often with them. I recommend standard pressure ammo, the recoil can be stout in such a small gun, which means less hits(you only have 5-6). I would use 148gr wad cutter ammo, I have seen qualification scores go up dramatically, it works well enough on soft targets, forget the FBI ammo protocols, you want hits. Handguns are poor stoppers, forget magic bullets and what bully trainers profess. If you carry a revo carry as many speed loaders or speed strips as possible.PRACTICE reloading with dummy rounds like those from AZOOM. arm yourself for what? These liberals will take you down if you kill a violent robber if he happens to be one oft the "community". You will be the next Bernie Goetz or George Zimmerman. Jesse Jackson wants privileged whites to turn over their goods and take your beating. No fighting back. I agree Murph, a simple pistol is much more effective for the average American in a high stress environment. In most situations today a single well placed shot will end the threat, be it a single loonie liberal or a whole pack. When the pack sees one of theirs drop and blood splattered the flight response will kick in 999 times out of a thousand. Even the supposed disciplined attack troops of Antifa has NEVER faced return fire. The only thing they will leave behind them will be streaks of brown. But even if they don't if one American can drop one of theirs, that is one less bad guy to worry about and if more of the good guys carry then the other good guys can start getting their one allotted bad guy bagged. One good guy carrying a gun, even a simple five shot gun is a good thing. ANTIFA is composed of punks and trust fund babies who will run at the first sign of their victim pulling out a weapon. They operate in a herd only. Do not under estimate your opponent. These ANTIFA libs are like Zombies. The game has changed. Long live the Republic!! Its an investment but think about adding this to you Galco shoulder rig, I did. https://www.sgammo.com/ is a great company and easy to deal with. Great prices. AMMO IS LIFE!! Take a look at the Ruger SP-101 .357 with the 3” barrel. Load it with a .38+P 110 JHP load. Good combo of stopping power and control. Or if you really want to kick it old school Charter Arms is producing the original.44 Bulldog (aka Son Of Sam gun) also with the 3” barrel. The extra inch makes all the difference in handling and accuracy while still being concealable. http://www.44mag.com/ great business to deal with to buy factory mags.